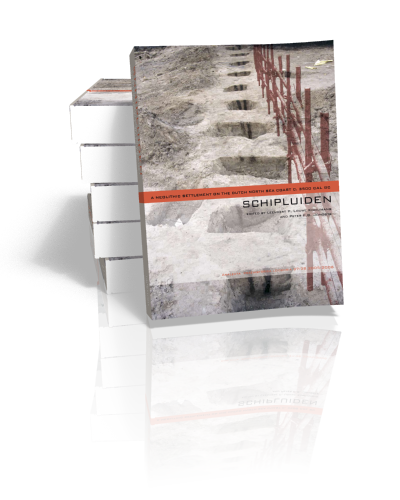 The Schipluiden site is a unique document for a crucial phase in the neolithisation process of the Lower Rhine Area. The rescue excavation profited from available funding for a full recovery of the site by a large multidisciplinary team. The site dates to c. 3500 cal BC and was situated on a low coastal dune, now 3 m below sea level. It was surrounded by a collective, multiple fence and dense post clusters indicate long-term habitation. Over a hundred temporary wells were a measure to ensure access to fresh water in the coastal environment. It shows us the first step to a year-round settled way of life, north of the Dutch loess zone. Exotic raw materials such as flint and stone, but also beads of amber and jet demonstrate wide connections, especially far to the south, into the Michelsberg culture area. A number of human burials and dispersed skeletal remains reflect a variety of mortuary practices. The waterlogged condition of the site meant a wealth of preserved organic remains: spectacular wooden equipment, like paddles and axe hafts and even some fragments of woven fabric. 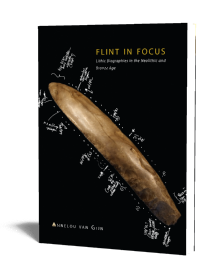 Bones of mammals, birds and fish, molluscs, diatoms and insects, pollen and botanical macroremains inform us in detail on the Neolithic landscape and subsistence. It appeared that the inhabitants combined the ‘new’ husbandry and crop cultivation with the ‘old’ tradition of hunting and fishing in the various surrounding landscape zones. 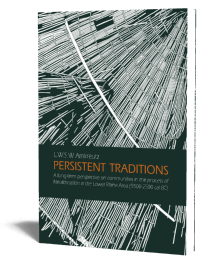 All evidence together allows a detailed synthesis of a community in the delta environment on the threshold to a fully Neolithic way of life.